Minicircuits LFCN-320 low pass DC to 320MHz filter in a ceramic 1206 package. Thes..
Minicircuits LFCN-575 low pass DC to 575MHz filter in a ceramic 1206 package. 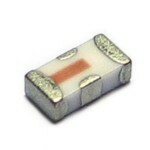 Thes..
Minicircuits LFCN-1200 low pass DC to 1200MHz filter in a ceramic 1206 packag..